Fits perfectly into vintage and contemporary settings. 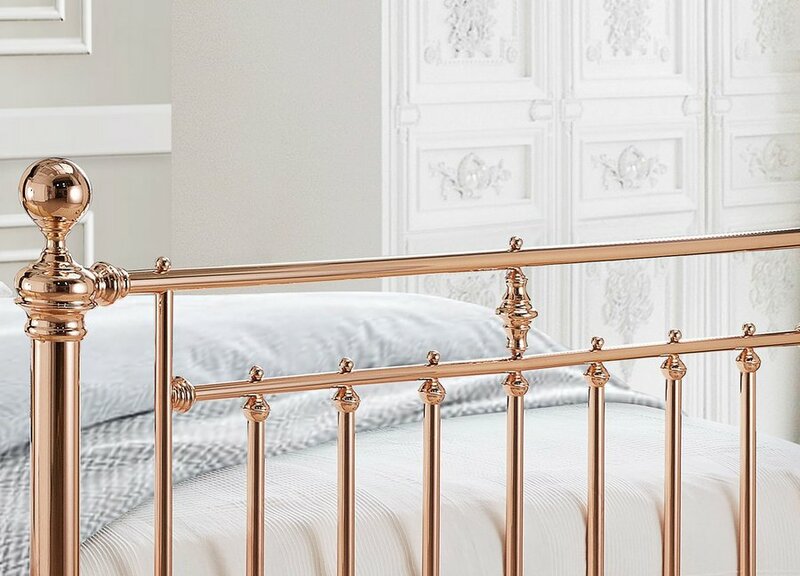 Up to date rose gold finish works well with many colour schemes. 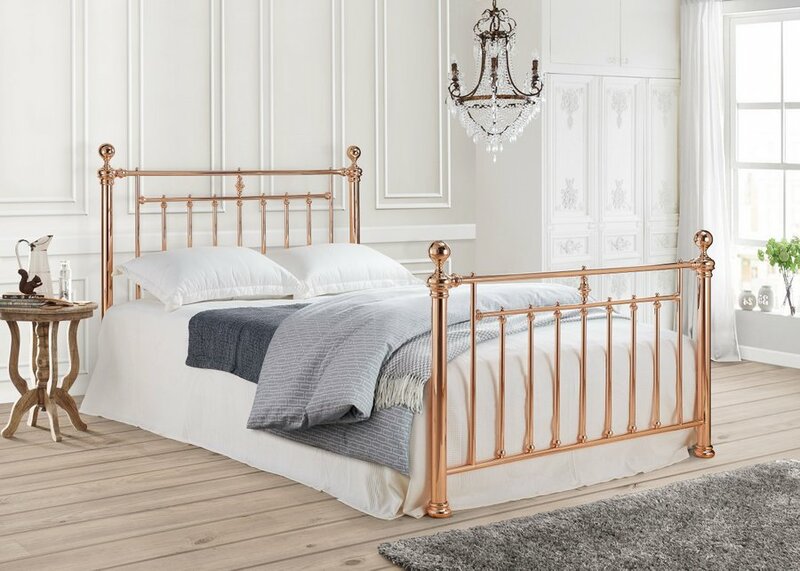 Great for creating a luxury ambiance in your bedroom. 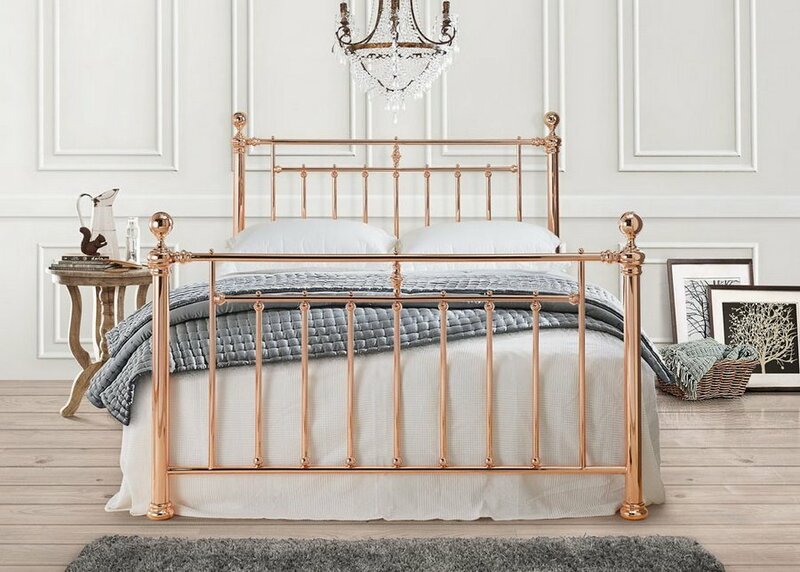 The classic styling ensures the Alexander rose gold bed frame will withstand many bedroom updates and be a pleasure to own for many years to come. Robustly designed self-supporting internal frame. No centre support legs required. 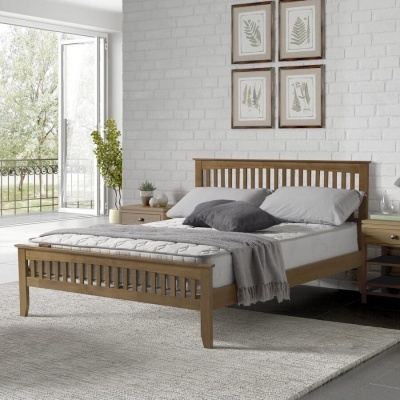 Making this a great choice if you need the space under the bed for storage. Side rail height: 35 cm. Floor to mattress base: 35 cm. 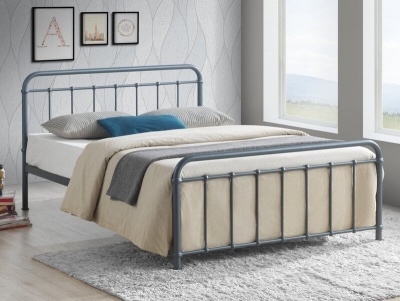 Fits a standard UK double mattress available separately. Two years manufacturers guarantee for added peace of mind.